The scrub-oil moisturising wonder duo. Pamper your body with this dreamy set! Our body scrub with coffee bean particles COCO GLOW exfoliates and eliminates dead skin, while our COCO SLIM moisturising and firming oil leaves your skin soft and hydrated. Discover how to use this set effectively! Exfoliate your skin gently with this body scrub containing coffee bean particles and coconut oil. Filled with nutritious ingredients, it exfoliates while providing a good dose of hydration. Recommended use: once or twice a week. Coffee bean powder: natural exfoliating grains. Avocado oil: moisturising and regenerative properties. 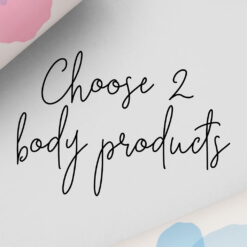 An oil blend of high-quality and skin beneficial ingredients deeply moisturise your body and enhance your skin’s elasticity: with avocado, coconut, jojoba, sweet almond and rosehip oil. 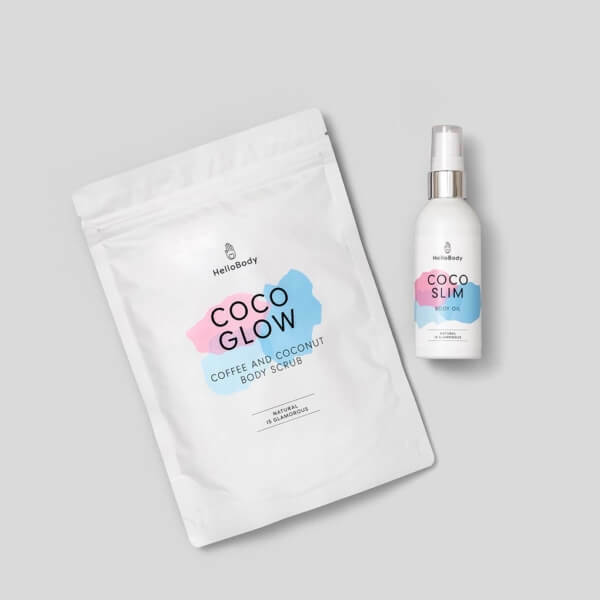 Step 1: In the shower or in your bath, exfoliate your body with the COCO GLOW scrub. Massage the product in circular motions on your skin and rinse thoroughly. 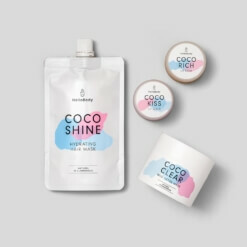 Step 2: In order to complete your hydration routine, use our firming COCO SLIM oil on the areas you want to moisturise. This duo delights you every day? Leave us a review!